The D23 Expo is in full swing this weekend and is crammed full of delights from across the vast Disney empire. But it’s Star Wars that has drawn the most attention, particularly the unveiling of the awesome looking Star Wars Land addition to both Disneyland and Disneyworld. If that wasn’t excitement enough though, fans who make the trip to the convention will also be able to purchase elite toys that are exclusively available to attendees. There are three sets to choose from here, each pitting a Star Wars heroine against a Dark Side villain. Fans of the classic trilogy will go gaga for the Princess Leia/Darth Vader combo, featuring Leia in her cold weather Hoth gear from The Empire Strikes Back and Vader in (what else?) his iconic black armor. 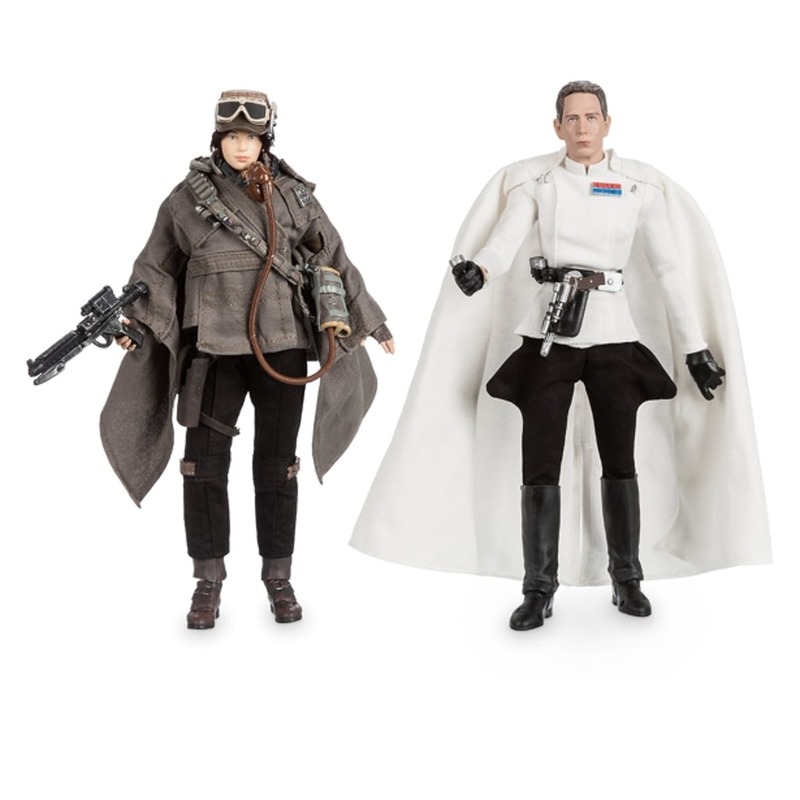 Those of a more modern bent might plump for the Jyn Erso and Director Orson Krennic two pack, though, let’s face it, nobody’s going nuts for a Director Krennic toy. The most interesting of these is the Rey/Kylo Ren pack. They’re wearing their outfits from the upcoming The Last Jedi, which I think makes this pack the first commercially available toys from the film. Even so, there’s no surprises here for anyone who’s seen the trailer, though it at least gives fans who’re really hungry for the movie the chance to let their imaginations loose by bashing the two dolls together and making whizzy lightsaber sounds. I say that, but let’s face it, there’s not a chance in hell that these collector’s item (production is limited to 1000) toys are ever going to be unpackaged and actually played with. Each set is priced at $79.95 and comes complete with a selection of little plastic hands and accessories to slot onto the toy. You also get a numbered certificate of authenticity, designed to keep you out of the slammer if the authorities accuse you of owning bootleg Star Wars dolls. Knowing the unbridled passion that fans have for overpriced plastic junk, it’s all but certain that all 1000 are now in the excited mitts of D23 expo goers. So, if you do want to own one of these, get ready to be price-gouged on eBay. That, or wait until December, when toy stores will be packed to the rafters and beyond with every conceivable type of The Last Jedi merchandise.